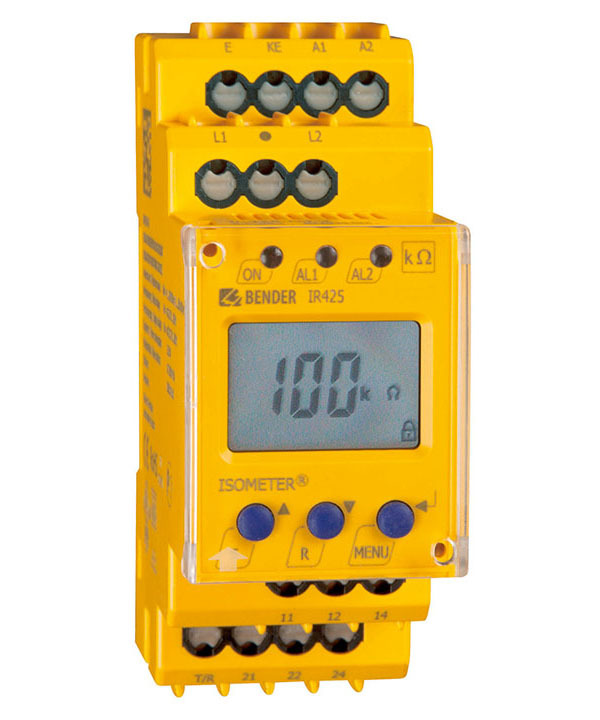 The ISOMETER®s of the IR125Y series are designed to monitor the insulation resistance of unearthed AC and DC control circuits (IT systems). External supply voltage is not required. 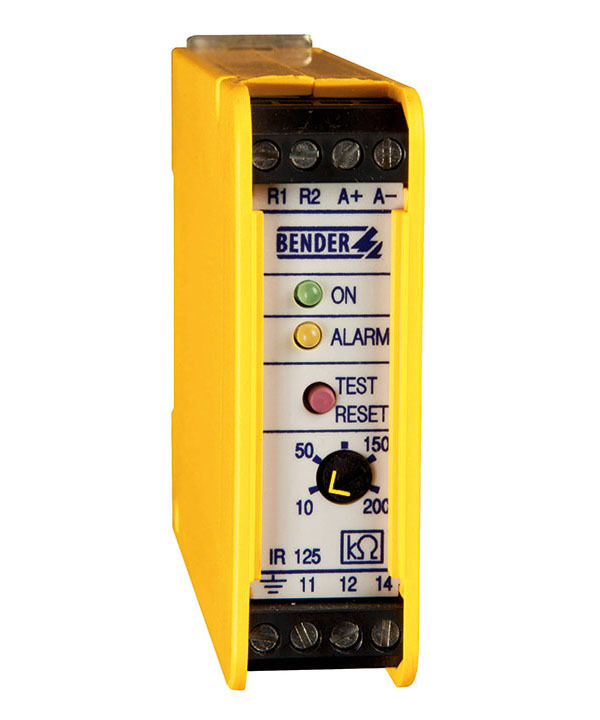 In contrast to insulation monitoring devices which evaluate the shift voltage for insulation fault detection, this series uses the active AMP measurement method. This creates the possibility to detect and indicate both symmetrical and asymmetrical insulation faults.